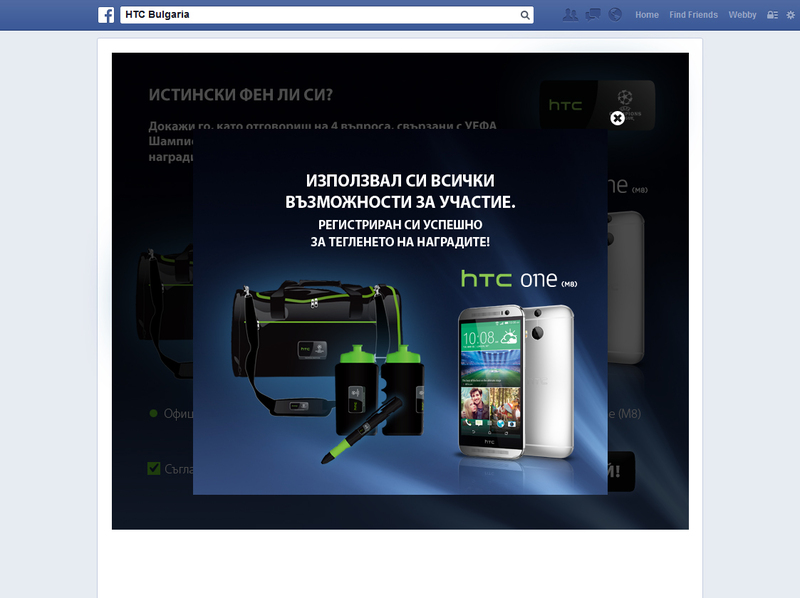 Design and development of an application on HTC Bulgaria’s Facebook page. 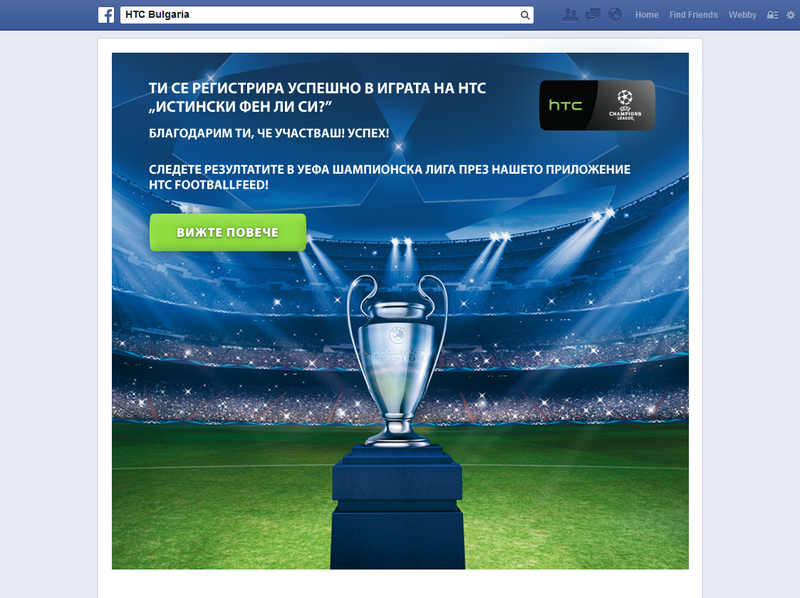 HTC and UEFA Facebook app, named “Are you a true fan?” was developed for the football fans and featured 4 questions related to UEFA Champions League and HTC One smartphones. 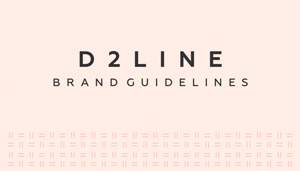 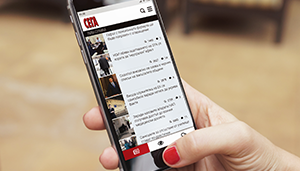 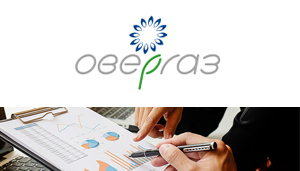 The users were asked to to invite 3 friends in order to finish the registration. 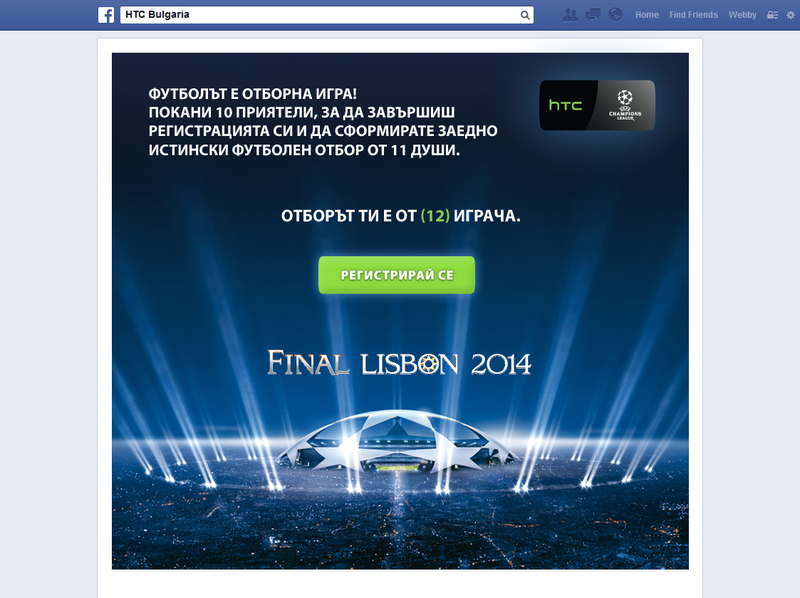 20 fans won great prizes from HTC and UEFA Champions League and the big winner received the grand prize – the new HTC One M8.